Iranian regime president Hassan Rouhani concluded the second day of his European tour with a 40 minute meeting with Pope Francis at the Vatican in which the Pope raised the question of the “promotion of human dignity and freedom of religion”—sensitive topics for the regime, which has been under fire for its human-rights record. Only yesterday international human rights group Amnesty International issued a blistering report denouncing the Iranian regime’s record-setting pace of executing juveniles, while Iranian dissident groups stage protests of Rouhani’s tour and freed Christian pastor Saeed Abedini going public with revelations about his brutal torture over the past several years before his release as part of a prisoner swap. No one can fault Pope Francis for praying and hoping for a more peaceful world with Iran’s participation, unfortunately the stark political realities of the regime’s government and rock-solid devotion to its particular virulent strain of extremist Islam makes the Pope’s wishes problematic. For his part, Rouhani came out of the meeting with the Pontiff proclaiming that the pathway to solving instability in the Middle East and suppressing Islamic extremism and terrorism would come from supporting Iran economically; as if a job and car would be sufficient inhibitors to Extremism. “If we want to combat extremism and violence in the world, if we want to fight against terrorism, one of the paths that we have is economic development and creating jobs,” Rouhani said. It’s a curious position for Rouhani to advocate since the economic policies of his administration have so crippled the Iranian economy, widespread dissatisfaction over low wages, deep-rooted government corruption and a yawning gap between the privileged families of the mullahs and Revolutionary Guard Corps have led to large-scale protests and demonstrations throughout Iran involving everyone from striking teachers to small business owners. There is no broad movement towards economic reforms even with the influx of an estimated $100 billion in cash being released under the terms of the nuclear agreement according to most economists and Rouhani’s shopping list on his European tour reflects that with deals being signed mostly in heavy industries completely under the control of the Revolutionary Guard Corps including aviation, petroleum, manufacturing and shipping. Industrial sectors benefitting ordinary Iranians such as agriculture, consumer technology, pharmaceuticals and entertainment are not part of the announced economic revitalization Rouhani has outlined. Meanwhile the plight of religious minorities continues to be a sore spot as dozens of Christians remain in regime prisons, many for simply holding religious services in their own homes. Rouhani’s government currently requires Christians to register with the regime authorities, while their religious practices are carefully monitored by regime intelligence and security forces. 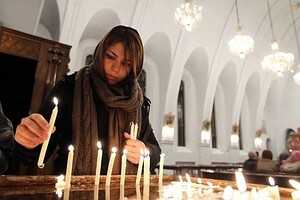 Other religious minorities such as those who practice the Baha’i faith are also dealt with harshly in Iran, as well as those Muslims diverging from the regime’s Shia faith as Abedini noted in which he and other prisoners were forced to watch hangings of Sunni prisoners on Wednesdays in the prison he was being held in. Abedini noted how during his captivity, he had come to believe his jailers were ready to execute him as well, but recalled how Rep. Robert Pittinger (R-NC) had spoken at a mass protest rally sponsored by the National Council of Resistance of Iran in which he invoked Abedini’s name causing – he believed – the regime to reconsider killing him now that he had become a higher profile prisoner. In the last months of Abedini’s detention, while diplomats were negotiating the terms of his release, his captors began treating him very well, taking good care of him and feeding him regularly, Pittenger relays. Pittenger doubts Abedini will ever return to Iran. “He saw the bigger picture. He was arrested because of his Christian faith. He’s Iranian. He understands the government, he understands what these mullahs do. They’re tyrants and they’re very rigid sectarian Shiite Muslims, and they have no respect or tolerance for other sects, much less Christianity,” Pittenger says. The lack of tolerance within the Iranian regime will be further exposed as the United Nation’s cultural agency, UNESCO, will challenge Rouhani on Wednesday, International Holocaust Remembrance Day, over the regime’s plans to host a cartoon contest for caricatures of the Holocaust. The contest, scheduled for June and announced last December by the regime’s Islamic Republic News Agency (IRNA), will be held at the Tehran International Cartoon Biennial and offers a prize of up to $50,000. The atmosphere of intolerance is emblematic of the simple fact that the Iranian regime is not opening up in the wake of the nuclear deal as promised by Iran lobby supporters such as the National Iranian American Council. Anne Applebaum, writing her column in the Washington Post, pointed out the extremes in Iranian actions towards more intolerance and abuse. And now with the disappearance of three more Americans in Iraq at the hands possibly of Iranian-controlled Shiite militia groups, the lack of cooperation from Tehran has been noticeable. As Rouhani continues his tour of Europe, the evidence of regime malfeasance continues to pile up. The Magical Mystery Tour of Hassan Rouhani got off to a start in Italy against the stark backdrop of a new report issued by human rights group Amnesty International calling the Iranian regime one of the leading executioners of juveniles in the world. 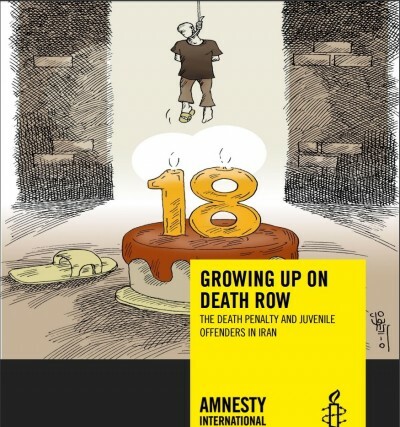 In a new report, Amnesty International said that it had documented the execution of at least 73 juveniles in Iran from 2005 to 2015, and that 160 juvenile offenders are languishing on the country’s death row. According to the New York Times, Amnesty International released its report as a United Nations committee is reviewing compliance with the Convention of the Rights of the Child. In 1994, Iran ratified that treaty, which prohibits capital punishment and life imprisonment without the possibility of release for offenses committed by people younger than 18. Elise Auerbach, an Iran specialist in Amnesty International’s United States branch, said Iran had in the past sought to sidestep criticism of its juvenile death-penalty practices by saying that offenders were not executed until after they had reached adulthood. This brutal record of killing young people is only a small part of a much larger record of human rights abuses that has only worsened under Rouhani; the alleged “moderate” face of the regime. According to Iranian dissident groups such as the National Council of Resistance of Iran, the total number of executions under Rouhani’s watch has skyrocketed to over 2,000 people, dwarfing what his universally-reviled predecessor Mahmoud Ahmadinejad accomplished. The release of the report comes at an inconvenient time for Rouhani as he made his first stop in Italy in the hopes of securing business deals now that sanctions had begun to be lifted as a result of the nuclear deal. Italian and Iranian regime-controlled companies signed deals valued at about $18.36 billion late Monday ahead of a formal dinner between Rouhani and Italian Prime Minister Matteo Renzi. Earlier in the day, Italian steel firm Danieli said it would sign deals worth about $6.18 billion during the visit. Other firms signing agreements on Monday included oil-field services company Saipem SpA, energy group Ansaldo Energia and ship maker Fincantieri SpA, but further details weren’t available according to the Wall Street Journal. The rush to lock in deals for many of these European companies who previously had ties to Iran prior to the Islamic revolution in 1979, ignores the fluid state of sanctions still in place from the U.S. and the prospect of additional sanctions that could still be imposed for issues left outstanding from the nuclear agreement such as the regime’s ballistic missile program, support of terror and brutal human rights record. One of the nasty surprises waiting for companies rushing into doing business with the regime was the insistence of the regime to delink these issues from the nuclear deal. While the deal allowed the removal of a significant number of sanctions, it did not address other thorny issues of the regime’s behavior that could become problematic for anyone looking to do business in Iran. Thousands of Iranian dissidents are planning to counter Rouhani’s charm offensive by attending a rally in Paris Thursday, said Shahin Gobadi of the NCRI, to protest Tehran’s human rights violations as well as its support of Syrian President Bashar al-Assad, whom France has accused of massacring his own people. “We need to show to the world Rouhani is anything but a moderate,” Gobadi said. So the question for many of these companies is whether or not the rush to be first in market is worth the risk of facing new rounds of sanctions should the regime undertake additional aggressive and militant actions such as launching more ballistic missiles in violation of UN sanctions as it has said it would do or take more American sailors prisoner as it did two weeks ago? The difficulty for any company is that it is now dependent on the choices the Iranian regime leadership makes in the future for the success or failure of its business opportunity and given the track record of the mullahs so far, that is a gamble that many shareholders and investors will find hard to take. The most compelling peek into the regime’s policies and brutality was given by Christian pastor Saeed Abedini who endured repeated beatings, torture and mistreatment since his arrest in 2012 on charges he was attempting to overthrow the regime by spreading Christianity, and was released along with other American hostages as part of a prisoner swap. 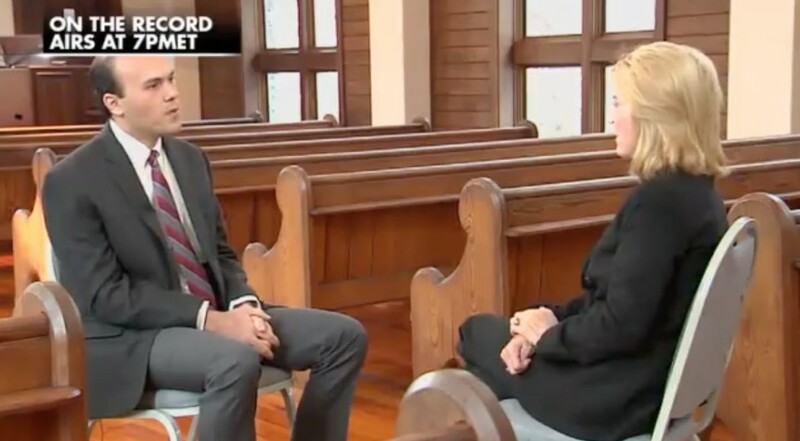 Abedini broke his silence with an interview with Fox News’ Greta Van Susteren by recounting his initial encounter with regime justice when he was brought before a judge. “He said you are here because you want to use Christianity to remove government and it was like no, I don’t want to do that, I just came here to start orphanage, loving people and share the gospel with people and just that,” he said. Abedini said the judge then told him he was using Christianity to “remove the government,” and yelled at him after saying he would pray for the judge. According to Abedini, his Iranian captors gave him no clothing or reading material the entire time he was in the solitary confinement. “Once they beat me very badly because they wanted me to write something I didn’t want,” he told Van Susteren. He was also subject to the threat of death by his interrogators, and was taken to watch several executions. “The worst thing I saw was when they took some Sunnis for execution, it was in front of our eyes, and they took like tens of them to hang, every Wednesday,” he said. When he was imprisoned for 60 days with retired U.S. Marine Amir Hekmati, Abedini said he felt “very heartbroken” to see what happened when he first saw him, but said it was the best time in captivity to be with someone else. Abedini’s disclosures, coupled with the Amnesty International report and the demonstrations by Iranian dissidents paint a very different picture than Rouhani wishes portrayed and leaves an uncertain future for companies looking to do business with the regime with an American presidential election looming and the prospect of more sanctions still on the horizon. Iran regime leader Hassan Rouhani begins a European tour previously postponed because of the terrorist attacks in Paris with stops in France and Italy which has been highlighted by the regime as a goodwill tour as well as a shopping spree to use some of the $100 billion in frozen assets being returned to Iran as part of the nuclear agreement. Both in France and Italy there are companies with long established business relationships in Iran but they remain hesitant given the regime’s actions in the months immediately following signing of the deal including the test launching of ballistic missiles violating United Nations sanctions against development of nuclear-capable missiles and the continued escalation of the Syrian conflict and support for proxy militias in Iraq and Yemen leading to broad sectarian violence. More recently the regime engaged in a prisoner swap, releasing several Americans being held by the regime including Washington Post reporter Jason Rezaian and Christian pastor Saeed Abedini, in exchange for a large number of Iranians who had been charged and convicted of arms smuggling and trading in illegal nuclear and military components. Additionally, both Democrats and Republicans in Congress and on the presidential campaign trail have expressed doubts over the regime’s ability and willingness to give up its militant ways, as well as what the mullahs plan do with all of the billions of dollars they are about to receive. 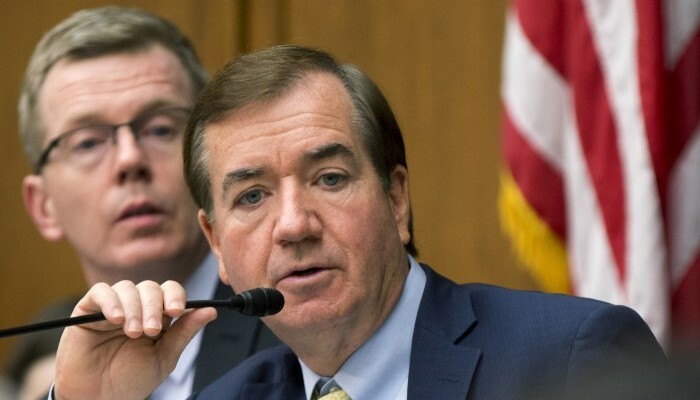 Several pieces of legislation have been put forward addressing the levying of additional sanctions on Iran should the regime prove recalcitrant moving forward. This has caused the Iran lobby to push back and attempt to make the issue of new sanctions a partisan issue by placing blame on Republicans, even though support for a tough approach to Iran has come from both sides of the aisle. Parsi made his comments to regime-controlled media in an attempt to convince European companies on the eve of Rouhani’s visit to open wide the doors of trade and investment to the regime even with growing doubts over the corrupt nature of the economy and high level of censorship, human rights abuses and control of most industries by the Revolutionary Guard Corps. “You did a brilliant, interesting and timely job. In fact, this event should be considered God’s work. He drew them towards our waters so that with your timely measure, they would be arrested in that manner – with their hands on their heads,” Khamenei said on his official website. The statements being made by Khameneni, Rouhani and other regime officials over all the incidents are often conflicting; adding to the confusion over what the regime’s true goals and aims are. Doyle McManus examined this almost bipolar quality within the Iran regime in an editorial in the Los Angeles Times. It is against this backdrop that Rouhani’s European tour comes soaked in the blood of over 2,000 men, women, children, political opponents, dissidents, activists and others who have been executed since Rouhani took power; a large number of them in grisly public hangings. According to human rights groups, Iranian dissidents and even United Nations officials, the pace of executions have been stunning even for Iran’s bloody history and are likely to continue unabated. According to the National Council of Resistance of Iran, the first two weeks in January have already seen over 52 executions. The prospects for the future remain bleak as the regime’s Guardian Council, comprised of 12 Islamic jurists appointed by Khamenei, disqualified more than 6,500 candidates from upcoming parliamentary elections, with opposition groups claiming upwards of 90 percent of “reformist” candidates had been eliminated. For Europeans meeting with Rouhani this week, it is best to think twice before making a big risk in trading with the regime in Iran, particularly since in the eyes of the Iranians inside and outside the country trading with the mullahs is the equivalent to neglecting the gross violations of human rights in Iran. The transition for the Iran lobby was eventual and anticipated as it shifts gears from the lifting of economic sanctions to cheerleading investment by foreign companies into the Iranian economy in a bid to divert billions of dollars in capital into the regime’s coffers. Nothing exemplified this newfound priority than an editorial by Tyler Cullis, a legal fellow with the National Iranian American Council, which appeared in Huffington Post. Cullis, a true apostle of the mullahs in Tehran, outlined the argument that the U.S. was coming late to the sanctions lifting party and not investing as wholeheartedly as it should. 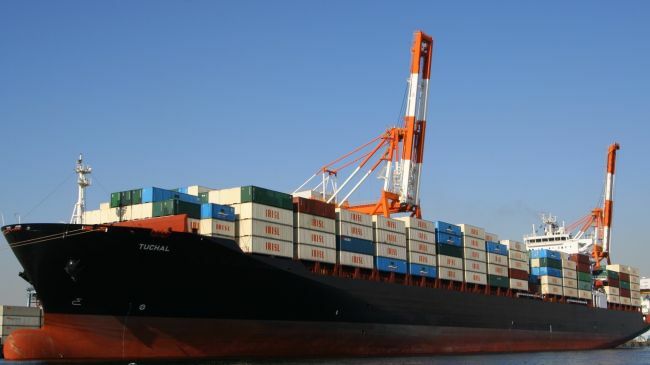 “The U.S. trade embargo with Iran remains largely intact — outside of newly created authorizations for the import of Iran-origin carpets and certain foodstuffs and the sale to Iran of commercial aircraft. Under the trade embargo, U.S. companies are barred from engaging in trade with or investment in Iran — with few exceptions. Violating these U.S. sanctions prohibitions can lead to serious criminal and civil penalties,” Cullis writes. “Moreover, considering the reputational risks of being seen doing business with Iran – which retains somewhat of a pariah status among the American public and which has remained under trade embargo for two-plus decades – few U.S. companies were willing to put themselves out on the limb for the chance to re-engage such an unfamiliar market. The result was that U.S. companies conducted virtually no real outreach to either the Obama administration or Members of Congress, which, in turn, fed into a perception in the White House that it lacked any real constituency for the openings that it could have otherwise supported,” Cullis adds. His logic is fairly twisted on several levels. Cullis is correct that American companies are concerned damage to their brands through re-engagement in Iran, especially in sectors seen as bolstering industries largely controlled by the regime’s Revolutionary Guard Corps such as petroleum, telecommunications and transportation. That damage to corporate brands can also result from calls for boycotts or other retaliation by human rights groups, Iranian dissidents and religious minorities – all of whom have been subject to brutal treatment by the mullahs there – who may seek to leverage the restart of economic involvement as a vehicle to have their plight heard on the world stage. Cullis also neglects another key fact about doing business with the Iranian regime; any opening to Iranian markets will almost surely not be accompanied any meaningful reforms in the conduct of the economy by the mullah leadership which remains one of the most corrupt in the world. According to Transparency International, Iran ranks 136th out of 175 countries in terms of corruption with deficiencies in judicial independence, rule of law, press freedom, free speech and accountability and bribery. Few American or even European companies would venture into the Iranian market given those conditions and those that do are most likely to work first with regime-controlled industries such as petroleum, shipping or transportation, which is why the first companies most likely to enter the market would be airplane manufacturers such as Airbus, oil companies and heavy equipment manufacturers. American cornerstone industries such as entertainment would largely be excluded from Iran. Can we image movies such as “Argo,” “Zero Dark Thirty,” or “13 Hours” getting screen time in Tehran? Can we envision hit television shows such as “Homeland” or “Game of Thrones” airing on Iranian TV sets? Could we really see documentaries about Holocaust or the Iraq-Iran War finding an audience in regime-controlled media? What about other U.S. industries such as Apple and the ubiquitous iPhone? Would the mullahs allow access to the iTunes store and give Iranians the freedom to use Facebook, Snapchat, Twitter or other social media platforms so far banned by the mullahs and even leading to the arrest and imprisonment of bloggers and other social media users? Would the mullahs allow U.S. technology companies to enter the marketplace with tablets, WiFi routers, GoPro cameras, portable hard drives, etc? What is more likely is that instead of the rosy picture portrayed by Cullis is a more likely scenario where the mullahs will greatly restrict certain foreign companies from entering the Iranian market that could create a corrupting influence and threaten their reign of terror and suppression. What is more likely is a “pay-to-play” model where companies will be forced to pay up bribes to regime officials to enter the market and be subject to tight restrictions on what could be sold and to whom. It is a scenario many companies would be reluctant to undertake which explains the reticence of many companies from jumping in with both feet the way Cullis is encouraging. The fact of the matter is that while sanctions have been lifted, the mullahs still remain in charge and that alone is a significant obstacle for many companies. Coupled with the mullahs continued focus on aggressive military actions in Syria, Yemen and Iraq, as well as continued development of military capability such as ballistic missile design, it’s highly unlikely like McDonalds or Starbucks are going to be opening up locations in Iran and offering free WiFi to Iranians to go with their Big Macs and lattes. For the vast majority of American consumer brands, entry into the Iranian market is far from a sure thing and remains a risky proposition as long as Iran remains a religious theocracy controlled by a cadre of mullahs who insist on imposing medieval punishments such as public hangings and amputations. In a sign of what could be called political schizophrenia, as sanctions on the Iranian regime were being lifted by the Obama administration amidst a prisoner swap, the U.S. levied a new round of sanctions in response to the testing of illegal ballistic missiles by the regime last October. The Obama administration had previously announced the imminent imposition of these new sanctions, but the press conference was cancelled at the last minute as the prisoner swap was taking shape the mullahs threatened to pull the plug on the deal. It’s noteworthy that the companies and individuals named as targets are not significant in size or scope to the extent European, Asian or U.S. businesses interested in doing business with Iran would be deterred, and the sanctions lifted by President Obama were only “secondary sanctions” meaning American citizens are still banned from trading with Iran with some 400 Iranian companies and individuals removed from the blacklist with 200 others remaining on it, but Szubin’s comment does raise an interesting issue. Since the P5+1 sought to delink nuclear talks with other aspects of the regime’s bad behavior such as terrorism, Syria and human rights abuses, does that portend a more period where piecemeal action against the regime will take place by individual countries and not in concert as in the nuclear agreement? These new sanctions do very little by themselves, says Matthew Levitt of the Washington Institute for Near East Policy. But there is symbolic value to them, he adds. If the EU moves forward and its sanctions differ from those imposed by the U.S., companies looking to enter the Iranian marketplace may find themselves caught in a quagmire of independent sanctions levied from here on out and the mullahs would find themselves engaging in issue-by-issue horse trading such as the prisoner swap. The mullahs made clear what they think of new sanctions, vowing to move forward with its illegal missile program in spite of the sanctions. The U.S. move was “devoid of any legal or ethical legitimacy,” the Iranian regime Foreign Ministry said in a statement reported by the state-run Islamic Republic News Agency. Iran will pursue its “legal missile program and upgrade its defense capabilities” with “more seriousness,” according to the statement. The new belligerence from Iran comes on the eve of Hassan Rouhani’s first state trip to Europe since the lifting of sanctions where he plans stops in Italy and France with a meeting with Pope Francis on January 27th. This trip takes the place of a prior trip planned to France that was cancelled in the wake of the Paris terror attacks that left 130 people dead and 352 others injured. Rouhani’s trip is no mere exercise in celebration of the end to economic sanctions. It has the very real and urgent purpose of trying to sell European companies on investing in the regime, especially in state industries owned and controlled by the Revolutionary Guard Corps and other regime leaders such as telecommunications and transportation. The regime’s top priority is not to infuse the Iranian economy to the benefit of ordinary Iranians, but rather rebuild aging infrastructure and the military’s capabilities, including recent deals to purchase 114 new airplanes from Airbus and German auto manufacturers to re-enter the market. An analysis by The Guardian newspaper using game theory also reinforced the idea that the regime leadership would not be using its economic windfall to the benefit of the Iranian people. “The lack of economic reform will continue to place a heavy toll on the middle class and particularly its underemployed youth. Rising expectations will have to be met…” and this is what fears the mullahs most, particularly with a society on the fringe of explosion with so many people living below the poverty line and with such high level of corruption within the mullah’s hierarchy. The Iran lobby continues to exhibit the delusional nature that has marked much of its public lobbying efforts on behalf of the Iranian regime. The newest effort was put on display in an editorial posted to the Huffington Post by Trita Parsi and Tyler Cullis of the National Iranian American Council. The piece offered up helpful suggestions for the next U.S. president to maintain the same policy of appeasing the mullahs in Tehran that the Obama administration has followed the past three years leading up to the fateful decision to lift economic sanctions as part of a deeply flawed nuclear agreement. Parsi and Cullis offer the suggestions because they realize the clock is ticking down with the incoming presidential election, and the new president, be it either a Republican or Democrat, is likely to forge their own path in dealing with Iran, especially considering much of the Obama administration’s legacy towards the regime has been built largely around executive orders and not full-fledged treaties. Unfortunately, Parsi and Cullis seem to think that international relations is more akin to developing a teenage crush and keeping the love notes going through Snapchats and emojis. The need for increased contact and communications between the two societies. On the surface these seem like worthy, even laudable goals, but like all the bright ideas and sunny promises made by the NIAC, they are not rooted in the reality of the here and now. Take for example the first idea they offer which is to build a dialogue through regular meetings. It is worth noting that the U.S., even when it did not have formal diplomatic relations, never stopped meeting with Iranian representatives on a whole host of issues, most notably negotiations on the regime’s burgeoning nuclear program through both the Bush and Obama presidencies. Parsi and Cullis neglect to mention that dialogue between the two countries has always been present, the difference though has been in the general unwillingness to give the mullahs a blank check until the last year in which the Obama administration essentially caved in nuclear talks – first by delinking support for terrorism and human rights abuses from talks – then allowing the Iranian regime to support the Assad regime in Syria even after the use of chemical weapons without repercussions. The notion that the Middle East would be a remarkably different place if the Bush administration had capitulated earlier is ridiculous when you consider such an act would not have deterred mullahs in Iran from supporting terror groups, would not have deterred them from doing what it could to keep Assad in power and would certainly not have deterred them from continuing the practice of public hangings and mass crackdowns on journalists, dissidents, women and religious minorities. Most important, the idea that ISIS could have been stymied is absurd since it was Iranian regime’s support of Assad in the first place that spawned ISIS, as well as offering safe haven for Al-Qaeda leaders driven out of Afghanistan by the U.S. invasion who later left to build ISIS out of the carnage of Syria. The second idea that Parsi and Cullis offer about a dialogue between legislative bodies is even – to borrow a phrase from the Trump lexicon – more stupid than the first idea since the Iranian regime has a long practice of winnowing the field of candidates eligible to run for parliamentary seats, especially in the Assembly of Experts in order to ensure an ironclad control over the government. Take for example parliamentary elections next month in which out of a field of 12,000 candidates who applied to run, almost two-thirds were disqualified by the Guardian Council. The 12-member council vets political candidates and all legislation passed by parliament. It is made up of six judges elected by parliament and six clerics appointed by top mullah Ali Khamenei, who has the final word on virtually all important state matters. So-called reformists—those favoring more political and economic freedom and improved relations with the outside world, who have been involved in all previous terrorist activities and domestic repression—say their camp was overwhelmingly targeted, with one saying barely 1% had been approved in a sign that the practical political realities of how the regime is run are completely at odds with the rosy picture painted by Parsi and Cullis. Considering how the two houses of parliament in the regime are under the thumb of a single man in Khamenei, the notion of a dialogue developing between them and the U.S. Congress is a silly one and unlikely to ever develop. This brings us to the last ridiculous idea Parsi and Cullis hoist up which is the idea of communications and contact between the Iranian and American people. Again, a nice notion if it was true, but almost impossible to succeed considering how the mullahs have imposed a cyberwall blocking internet access and use of social media platforms for the Iranian people to communicate with the outside world. From a practical standpoint, the regime’s Revolutionary Guard Corps, which owns the virtually all of the major telecommunications companies, monitors the nation’s communications and often uses those channels to identify dissidents and suppress contrary political activities. Indeed, what Parsi and Cullis are really worried about is that the broad public perception in America that Iran’s mullah leadership is focused on terror and military expansion at the cost of domestic oppression of its people is true and will become the focus on a new president’s foreign policy. For the Iranian people and the rest of the world, the best hope for a truly new relationship with the regime lies not in following the plan laid out by Parsi and Cullis, but in fact doing the exact opposite. This weekend brought an almost frantic rush of events as the Obama administration and international community lifted economic sanctions against the Iranian regime, while also facilitating a prisoner swap of four Americans being held in Iran with seven Iranian-Americans being held in U.S. prison for trafficking in illegal weapons and nuclear materials. 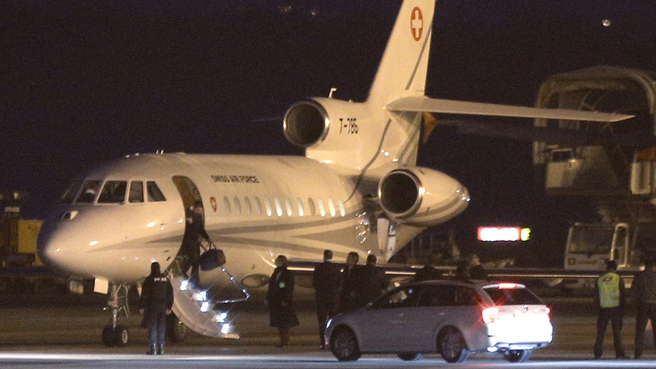 Three of Americans fly out of Iran and onto Germany to be reunited with loved ones, including Christian pastor Saeed Abedini, former U.S. Marine Amir Hekmati and Washington Post reporter Jason Rezaian. A fourth American, Nosratollah Khosravi whose imprisonment had not been previously reported, opted to stay in Tehran where he has a residence. 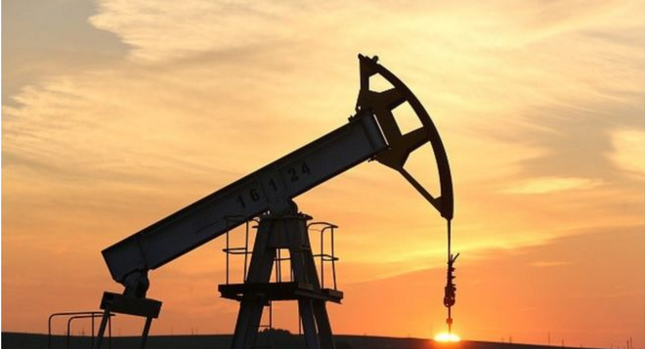 The lifting of nuclear sanctions on Saturday allowed Iran to re-enter the world’s oil markets; according to some estimates, by the end of the year its exports may increase by a million barrels a day, yielding about $30 million a day in revenue at current prices. Its ships will be able to enter and leave foreign ports, and its citizens will have access to global financial markets. On top of which the regime is scheduled to being receiving cash transfer of frozen assets that could total as much as a staggering $150 billion. The Obama administration also took to clearing up several old accounting issues, including a payment of $1.7 billion representing a $400 million refund in payments made for military equipment sold to the government under the former shah, but never delivered because of the revolution along with interest accumulated over 37 years. Considering the nuclear agreement made no attempt to link any restrictions on how the money was to be used, the mullahs are essentially free to do whatever they like with it, which has caused Iran’s neighbors to become very worried. In Saudi Arabia, there was concern that the lifting of sanctions would bolster Iran and its allies. A statement by 140 Sunni Muslim clerics urged Muslims to unite against the threat of Shiite Iran. It criticized actions by some minority groups in Muslim countries and accused them of “serving foreign agendas,” a veiled reference to what they view as the loyalty of Shiites in Sunni-majority Arab countries to Iran. Iran’s rivals are also worried that Tehran will spend some of the billions of dollars of oil revenue unfrozen by the lifting of sanctions on aiding regional allies that include Syrian President Bashar al-Assad, the Shiite group Hezbollah in Lebanon and the Shiite-linked Houthi rebels in Yemen. The prisoner swap and lifting of sanctions was predictably hailed by the Iran lobby, but even the regime’s staunchest supporters recognized the current ambivalent mood of American and European voters who have been unnerved by a rash of terror attacks inspired by Islamic extremism. “While this diplomatic victory should be celebrated, it is impossible to ignore the ongoing systemic human rights violations in Iran. Recent arrests of activists and artists appear aimed at intimidating reformists and moderates ahead of key elections to Iran’s parliament and Assembly of Experts. Further, an ongoing rise in executions – often for nonviolent drug-related offenses – must be halted without delay. We hope that the moderation that has dramatically impacted Iran’s external relations can now shift inward to produce lasting change,” said the National Iranian American Council, the regime’s leading lobbyist, in a press release. On the same line, it has been trying to put the blame on other factions or “hardliners” within the mullahs regime for the surge in executions and oppressive measures taking place during Rouhani’s tenure, the “moderate” president of the mullahs. This also represents the double-edged sword the Iran lobby now has to traverse since it has bet everything that the regime will act like a normal civil nation from now on. If the Iranian regime continues to escalate its conflict with Saudi Arabia, continues to fund terror groups or continues to apprehend American sailors at will on the high seas, then public opinion will be turned quickly against the lobby. Iranian dissident groups that know the regime’s leadership best had the best perspective on this weekend’s events. “The major part of Iran’s economy (more than 50% of its GDP) is controlled by 14 large entities, all of which are affiliated with the military and security apparatus and controlled by Supreme Leader Ali Khamenei. Much of the released funds will end up in the coffers of these 14 economic entities. A good portion of IRGC expenditures and the monthly financial assistance to the Syrian dictator is paid up by the profits of these institutions. 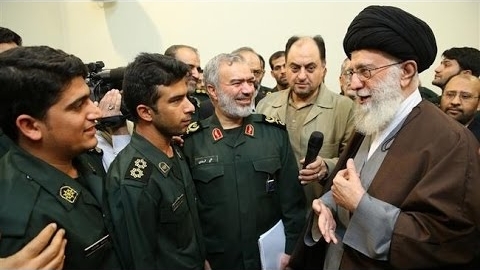 The bulk of the released funds will flow to these economic hubs and will thus serve Khamenei and the IRGC,” said the National Council of Resistance of Iran, one of the leading dissident groups, in a prepared statement. The NCRI points out, correctly, that the Iranian regime is lurching towards parliamentary elections with a flurry of political arrests and a rapid escalation in public executions – 53 in the first two weeks of January alone – in order to maintain control of the Iranian people, especially if they are anticipating a windfall from the release of funds which they are not likely to receive. As the Wall Street Journal pointed out in an editorial, this weekend’s events cemented the perception that the Iranian regime essentially swapped four Americans for over $100 billion in cash, access to the international banking system and a re-entry into the global oil markets. “The timing of Iran’s Saturday release of the Americans is no accident. This was also implementation day for the nuclear deal, when United Nations sanctions on Tehran were lifted, which means that more than $100 billion in frozen assets will soon flow to Iran and the regime will get a lift from new investment and oil sales. The mullahs were taking no chances and held the hostages until President Obama’s diplomatic checks cleared,” the Journal declared. “But the Iranians negotiated a steep price for their freedom. The White House agreed to pardon or drop charges against seven Iranian nationals charged with or convicted of crimes in the U.S., mostly for violating sanctions designed to retard Iran’s military or nuclear programs. Iran gets back men who were assisting its military ambitions while we get innocents. This is similar to the lopsided prisoner swaps that Mr. Obama previously made with Cuba for Alan Gross and the Taliban for alleged deserter Sgt. Bowe Bergdahl,” the Journal added. All of this shows that the mullahs tried and true policy of taking hostages will only embolden them to do more. The right policy though seems to be a firm policy much similar to the Sanctions that forced them to come to the nuclear negotiation table. Will the World be Financing More Iranian Aggression? The USA Today editorial board ran an interesting opinion about the swift release of the ten U.S. Navy sailors captured and detained by the Iranian regime in the Persian Gulf, noting the release of videos and photos depicting the sailors in humiliating poses of surrender follow a similar pattern of aggression by the regime over the past few weeks. “The seizure and the gratuitous humiliation of the Americans, seen in photographs kneeling with their hands behind their heads, carried at least a whiff of the provocations Iranian military hard-liners have been carrying out lately — such as firing rockets near a U.S. aircraft carrier last month, training a ship-borne heavy machine gun on a U.S. helicopter last summer, and carrying out ballistic missile tests in defiance of a United Nations resolution,” USA Today wrote. “The quick release undoubtedly had less to do with goodwill than with the fact that Iran stands to get up to $100 billion of its frozen assets back in just days if it has met the conditions of the nuclear deal, which required it to get rid of most of its potentially bomb-making uranium and shut down a plutonium reactor that could also make bomb fuel. A hostage crisis could have stalled the payday,” the board added. While the Iran lobby is attempting to portray the release as a positive sign of improved relations, it absurdly excuses the detention in the first place and the videotaped “apology” from one of the sailors in more video as nothing more than a misunderstanding, but the incident provides important lessons for the rest of the world. Reuters reported that the ultimate decision to release the Americans rested solely with top mullah Ali Khamenei according to regime officials, which is telling since Hassan Rouhani only participated in one meeting on the subject and did not have a voice in the decision. It is a reflection of how internal regime politics work and how Rouhani – while touted by the Iran lobby as a standard bearer for moderation – is in fact nothing more than a puppet for Khamenei. The value of the videos cannot be underestimated for the regime since symbolism in the Middle East is of paramount importance in countries where strongman politics are the coin of the realm. There are many in Congress increasingly uneasy in the face of rapidly escalating Iranian aggressions. Less than 24 hours after Iran’s detention and release of U.S. sailors, the House approved GOP-backed legislation that amplifies Republican distrust of Tehran and would give Congress greater oversight of the landmark nuclear agreement. Lawmakers voted 191-106 Wednesday to approve the Iran Terror Finance Transparency Act, spurning a veto threat from President Barack Obama, but vacated the vote until Jan. 26th in order to gain veto-proof majority in a revote. The House bill would bar the removal of certain individuals and foreign financial institutions on a restricted list kept by the Treasury Department until the president certifies to Congress that they weren’t involved in Iran’s ballistic missiles program or in terrorist activities, but the delay may not halt the Obama administration’s rush to lift sanctions, nor forestall an anticipated lifting of sanctions by the European Union and United Nations which could come as early as next week. What is clear is that the regime is going to receive an influx of cash without any strong attached and given its most recent acts, we can only assume those funds will flow to support its continued aggression against the world and its neighbors. The short-term illusion of security with the nuclear agreement will quickly evaporate as the regime bolsters its military, resupply its proxy allies and increase the pace and tempo of its terror activities. The world will soon discover that the threat posed by ISIS pales in comparison to the threat posed by the Iranian regime. The arrest and detention of 10 U.S. Navy sailors by the Iranian regime and their release after 24 hours is being hailed by some regime supporters as proof of how a new cooperative relationship exists between the U.S. and Iran and how a similar situation might have led to armed conflict before the nuclear deal was agreed to last July. Regime supporters and members of the Obama administration have even attempted to characterize the Iranian detention as a helpful assist to sailors lost in the waters of the Persian Gulf after allegedly suffering mechanical difficulties, but the images released by the regime are anything but designed to reassure Americans. The detention was a political act and one designed to convey a specific message considering its timing just before President Obama’s State of the Union speech. It has been a hallmark of the mullahs in Tehran to invest heavily in message, meaning and symbolism. They do not do things haphazardly or without purpose. The founding of the revolutionary Islamic state even had symbolic meaning with the release of 52 American hostages during the swearing in ceremony for President Ronald Reagan and the continued holding of Iranian-American hostages today also has meaning and symbolism for the regime. When the regime paints an American flag on the streets of Tehran to be marched over, or builds a model of a U.S. aircraft carrier so it can be sunk on live television, or holds weekly prayer meetings to shout “Death to America,” they are all important symbolic acts for a regime controlled by mullahs deeply concerned over appearances and perception. The mistake made by those who otherwise support the regime in its efforts to re-enter the international community is that they de-link all of the regime’s actions and treat them as specific, individual events with no relationship to one another. The test firing of illegal ballistic missiles followed by the launching of rockets near U.S. Navy warships followed by the interception and detention of U.S. Navy sailors are not related according to these supporters of the regime. Take for example the election of Hassan Rouhani as president of Iranian regime. Even though he served extensively in intelligence and national security capacities within the regime and was regarded as a trusted ally of top mullah Ali Khamenei, his election was portrayed as a win for moderates by the Iran lobby, led by the National Iranian American Council; forgetting that the previous slate of candidates, was wiped off the ballot by the Guardian Council, allowing Rouhani to win with virtually no opposition. The mullahs learned their lesson from the disputed election of 2009 where street battles throughout Tehran showed the true nature of the regime to the world. Being mindful of appearances, the mullahs simply took everyone off the ballot that could be a problem. Anyone who has watched the video released by the Revolutionary Guard Corps can plainly see the U.S. sailors on their knees, being held at gunpoint with their hands clasped above their heads. They can also see video of a Navy Lieutenant apologizing on camera and saying how all of them have been treated well by their captors. Oddly, the logic of the Iran lobby is that we should be thankful the regime treated their captives well instead of being upset they captured them in the first place. It’s the same bizarre logic applied to most of the regime’s actions where the Iran lobby has argued that the regime’s involvement in Syria has stemmed the tide of ISIS while neglecting to mention Iran’s intervention in Syria gave birth to ISIS in the first place. You don’t thank a burglar for being neat after he’s robbed your home. For the Iranian regime, the videos are powerful symbolism depicting the regime’s ability to confront and embarrass the U.S. military. It also adds to the growing perception by the mullahs that the U.S. will do nothing in response to any provocation they choose to engage in. The litany of aggressive acts by the regime since the nuclear deal was signed leading up to the capture of the U.S. sailors has merited almost no consequences for the regime. Ironically enough, even though the regime’s own officials deny the filling in of the Arak heavy-water nuclear reactor’s core with concrete, the U.S. is due to release up to $150 billion in cash before Iran’s parliamentary elections in February. Common sense would dictate you don’t release the money until you know the election results to see who are you dealing with, even though we can already guess since the slates of candidates in the Assembly of Experts have to be approved by the Guardian Council and most dissidents that could have won seats in the lower house have already been rounded up and arrested at Khamenei’s orders. One would think if the Iranian regime really wanted to be helpful, why not just give the Americans a tow out of the area? 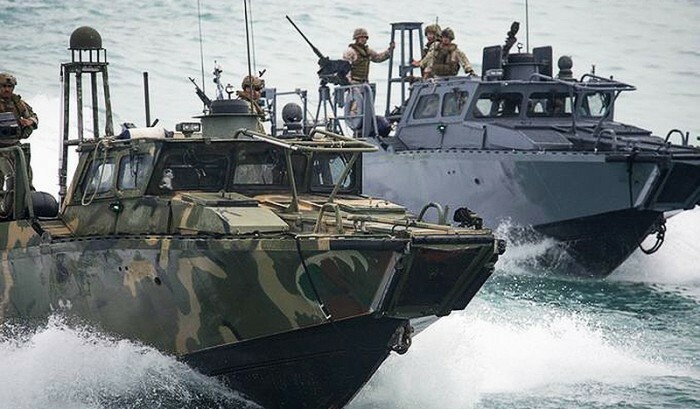 Ten U.S. Navy sailors were detained by the Iranian Revolutionary Guards Corps after their patrol boats lost contact with U.S. commanders and may have lost power and drifted into waters claimed by the Iranian regime. The two small boats were traveling between Kuwait and Bahrain when contact was lost according to the Defense Department. Regime officials have assured U.S. officials that the sailors would be released shortly…at least that’s the hope. The regime accused the sailors of “snooping” according to regime-controlled FARS state media. Recent history would give most people pause though considering that since the Iranian regime negotiated a nuclear agreement with the P5+1 group of nations, it has acted aggressively in both domestic and foreign policy affairs to such an extent, many analysts have noted a new level of tension in the region exceeding recent memory. Allowing Saudi embassies to be attacked and burned in Iran while state police stood idly by in a repeat of similar attacks on British and U.S. embassies. These provocations follow a series of diplomatic breaks between the Iranian regime and most of its Arab neighbors including Saudi Arabia, Kuwait, Bahrain, Sudan and United Arab Emirates. Unlike the promises made by Trita Parsi and Reza Marashi of the National Iranian American Council, one of the leading lobbyists for the Iranian regime, the nuclear deal did not produce any turn to moderation by the mullahs in Tehran. If anything, the past six months have provided ample proof that the Iranian regime has no intention of altering its course, but instead is intent on flexing its muscle in taking advantage of this period of appeasement. At the heart of that appeasement lies the proverbial pot of gold at the end of the rainbow in the form of $150 billion in frozen assets the mullahs are due to receive as early as next week as part of the nuclear agreement. That cash has no restrictions on it, so the regime can use it to purchase military equipment, send it to terrorist groups such as Hezbollah or benefit companies controlled by the Revolutionary Guard Corps such as petroleum and telecommunications shell companies. The ordinary Iranian citizen will most likely see no improvement in their economic status as a result of the windfall much to chagrin of those who believed in the propaganda being spouted by the Iran lobby. Even as news media report that the regime is complying with provisions of the nuclear deal including the closing of its Arak nuclear reactor, regime officials themselves disputed that compliance. Iran’s deputy nuclear chief denied yesterday a report that technicians had dismantled the core of the country’s nearly finished heavy water reactor and filled it with concrete as part of Tehran’s obligations under the nuclear deal with the West. Ali Asghar Zarean, in remarks to state TV Tuesday, dismissed the report by the Fars news agency from the previous day. He said the regime would sign an agreement with China to modify the Arak reactor, a deal that is expected next week. The fact that the regime can’t seem to get its own story straight about the condition of its heavy-water reactor ably describes the inability of the rest of world to properly monitor exactly what the regime is doing with its nuclear facilities.